Whether you choose Hotdog Guy, Glam Wizard, Cowgirl or any of the other zany personalities, it’s up to you to beat your mates by answering questions quicker than them. Need an ace up your sleeve? Throw in a Power Play to slow down your pals, forcing them to tap through ice or rub away gunk before they can answer. 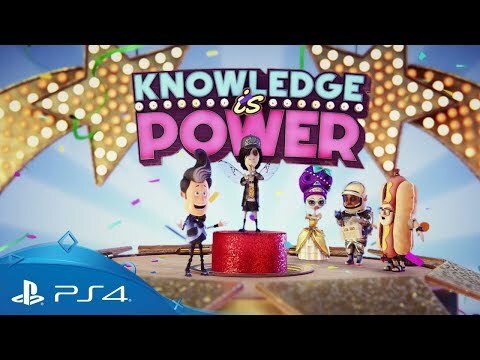 Don't forget – you’ll need to download the Knowledge is Power companion app to your mobile device to start playing the game on your PS4. You can get the app from the online app stores below. Discover more wonderful social gaming experiences on PlayStation 4 in the PlayLink range.